There is no one right way to make a cappuccino. 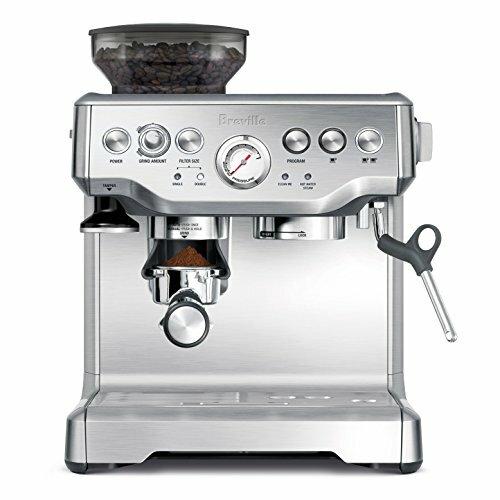 Therefore, it's important to find the best cappuccino maker to meet all the needs specific to the cappuccino brewer. With models ranging from those that are best suited for the cappucino expert, to people just looking for a personalized and hassle-free brewing experience, there are many cappuccino makers to choose from. Being well informed before purchasing a cappuccino maker is the first step. For each of our selections, we include information about key features and considerations, such as model maintenance and easy of clean up, beverage customization, included features like milk steamers and coffee grinders, price range, and so much more. Read more about our methodology. This all-in-one machine freshly grinds coffee beans, drip pours espresso, and quickly heats and froths milk - everything needed to make the perfect cappucino and why it's our top pick. It even comes with a hidden storage compartment with cleaning kit, making for easy brewing and clean up. This bundle set comes with everything needed to enjoy a freshly made espresso-based drink, all for a fairly decent price. This bundle set is ideal for any barista looking for a hands-on and complete cappucino making experience. This attractive model is our top choice for a cappuccino maker with the best value. With a powerful steamer to make rich drip espresso, this compact machine is able to make delicious beverages for a low price. For those looking for a personal cappuccino maker that produces high-quality beverages without breaking the bank, this model is highly recommended as a runner up for best value. For the busy cappuccino lover, this compact and portable cappuccino maker is ideal to carry around for an on-demand beverage. This semi-automatic espresso, cappuccino and latte maker is the perfect choice for anyone looking for a durable, easy-to-operate machine that comes loaded with brewing accessories that justify its retail price. This durable staineless steel model was built to reflect an authentic Italian design. Using the patented Newspresso capsule system, easily make delicious cappuccinos and other espresso-based drinks with the touch of a button. This high-end professional model is made for the espresso brewing expert. It allows for complete control over all aspects of the brewing process, delicately balancing the science and art of espresso making. When searching for the right cappuccino maker, it's important to consider whether or not the model comes with built-in or bundled brewing accessories like a coffee bean grinder, milk steamer, tamp and so on. Models that come with just the main espresso component means having to buy additional parts to make a cup of cappuccino, costing more in the long run. At the very least, it's recommended that cappuccino makers come with a steam wand to assist in texturizing milk. Coffee bean grinders are not always necessary, as coffee can be bought already ground and ready for use. To get the most value for every dollar, an espresso maker should make more than just espresso. Another thing to take into consideration is if the model is able to make cappuccinos, mochas, lattes, Americanos, and more, not just the basic espresso drink. Some machines come with automatic and pre-programmed selections that make it possible to brew all types of beverages on one convenient machine. Making a cappuccino requires multiple steps, and therefore has multiple parts to clean up once you're finished brewing. Another thing to consider when looking to buy a cappuccino maker is how easy it is to clean the machine after each use. 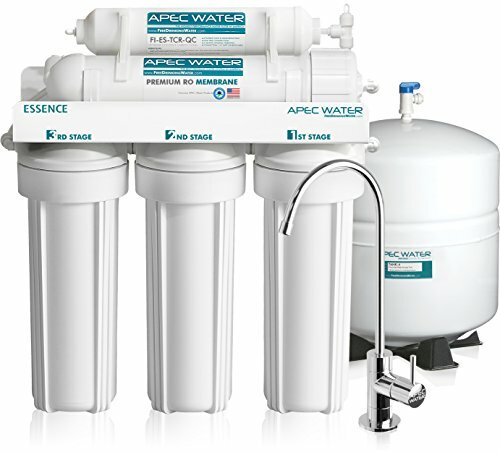 Machines that come with detachable parts are perfect for hassle-free rinsing, and some models even come with automatic cleansing programs that can filter out and santize internal water lines. Being able to take care of any cappuccino machine means it will last longer and continue to make delicious cappuccinos every single time. Depending on what types of brewing accessories come with the model, or must be purchased separately (such as a coffee bean grinder, milk steamer, etc), cappuccino makers can cover a very wide range of prices, with some high-end cappucino makers well into the $1000 range. It is very possible to find a basic cappuccino maker from anywhere between $50 to $200. For more personalization and hands-on control of the brewing process, mid-range cappuccino makers can fall anywhere between $200 to $500. The cappuccino maker models that fall between $500 and beyond are typically those saught after by expert coffee brewers, as they often offer complete control of the coffee brewing process and require a significant amount of knowledge and experience in order to operate. The Brevill BES870XL is our top pick for best cappucino machine because it makes brewing both accessible and easy for all cappucino enthusiasts. 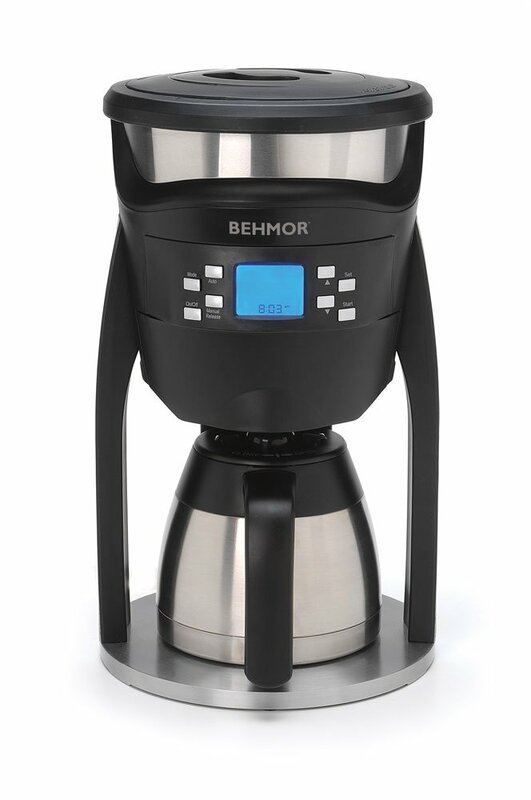 With a built-in stainless steel burr grinder with an attached sealed bean hopper, this model makes it easy to grind fresh espresso without needing additional equipment. Grinder makes freshly ground coffee for maximum flavor. The Breville BES870XL Barista Express has a built-in burr grinder with an attached sealed bean hopper for freshly ground coffee beans at the push of a button. You can even set the grind size and grind amount to your specific drink preference. Heating system ensures consistent brewing temperature. This model has a 15 bar Italian pump and 1600W thermocoil heating system that regulates water temperature during the brewing process. It's flat shower head also makes sure that water is equally distributed over the coffee puck for optimized use. Attached 360 degree swivel-action steam wand makes texturing milk simple. With the Breville BES870XL, texturing milk can conveniently be done right at the machine. 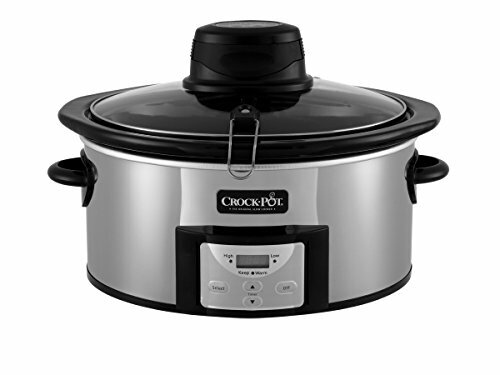 The swivel-action allows for wide range of movement, resulting in a hassle-free steaming experience. It's also made of stainless steel, which means wiping the steam wand clean is a simple thing to do. Built-in pressure guage helps make great espresso every time. Having a pressure guarge built into the model helps to monitor the espresso extraction pressure, making it easy to identify if coffee grinds have been tamped properly, or if they're too loose in the filter. The pressure guage is a helpful tool for beginner baristas to get a feel for how much pressure is needed when tamping down the grinds. Model comes with tamper and magnetized storage. This model provides a 54 milimeter tamper that can easily be stored away in a magnetized storage section on the machine, resulting in easy clean up and organization. Easy to clean and maintain. The Breville BES870XL is an excellent model in terms of cleaning and maintenance because it is designed with the consumer in mind. With a hidden storage compartment with a provided cleaning kit, a "clean me light" that indicates when a cleaning cycle is required, and a removable drip tray with an "empty me" indicator light makes for an easy upkeep process. Water tank needs to be refilled often. The Breville BES870XL has a removable 67 fluid ounce (or 2 litre) water tank with an attached handle, but some people have noted that the machine does require frequent refilling. Obviously, the rate of refilling varies from person to person, and depends on how often the machine is used. It's a bit on the pricier end of cappuccino makers. 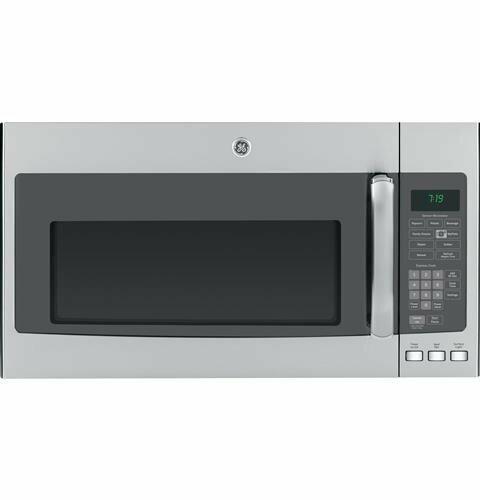 The Breville BES870XL falls in the $500 and above range, which may not be in everyone's budget. There are certainly other cappucino maker models that can be considered that offer similar features at a lower price. Model not made entirely of stainless steel. 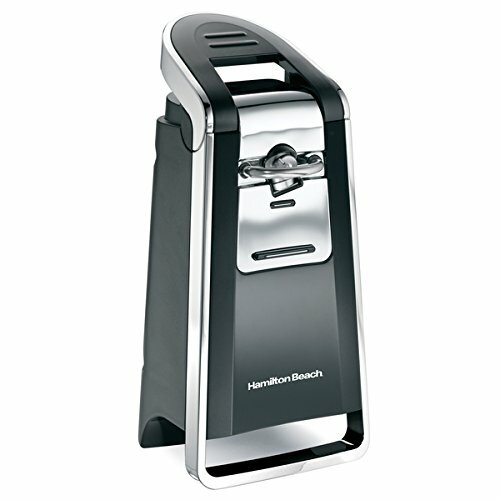 While durable, the Breville BES870XL is not made completely of stainless steel. The top and sides of the machine are made of plastic, which some product consumers have noted is slightly more difficult to clean and maintain. EspressoWorks' 7 Pc All-In-One Espresso/Cappuccino Machine Bundle Set is a one-stop shop where you can freshly grind coffee beans, drip espresso, and texturize milk. This product is incredibly easy to clean and offers the brewer complete control over how they want their cappuccino. The bundle comes with everything needed to make an espresso-based beverage. Included in this seven piece bundle is a plug-in electric coffee grinder, stainless steel milk frothing cup, two ceramic espresso cups, a stainless steel coffee filter, a measuring spoon and coffee grind tamper. There's no need to buy additional equipment with this complete machine bundle. Heating tray keeps espresso cups warm. While espresso is being made, the built-in heating tray keeps the ceramic espresso cups warm to ensure maximum freshness and flavor as the machine brews. Clear water tank makes monitoring water levels easy. The espresso machine has an attachable clear water tank, which makes it easy to determine when a refill is required. The water tank also has a handle, making it easy to carry from the sink back to the machine. Product is durable and easy to clean up. This bundle's stainless steel components, including the milk frothing cup and removable drip tray, make cleaning and rinsing a hassle-free process. Grinder volume capacity is smaller than average. In comparison to other coffee grinders, some product consumers have noted that the coffee grinder included in this bundle is a bit smaller, and therefore doesn't produce as much grounded coffee as desired. Milk steamer doesn't work very quickly. Some have noted that while the milk steamer does indeed work, it heats the milk slower than most would like. Although not a major issue, some have cited it to be a slight inconvenience in terms of wait time. Tamper is a little too small to cover entire surface of coffee puck. Product reviewers have noted that the included tamper is actually slightly too small to entirely cover the surface of the coffee puck in the provided stainless steel filter. This makes it slightly difficult to apply enough pressure when compacting the coffee grinds, resulting in slightly weaker espresso. It's not always necessary to spend a lot of money in order to make yourself a delicious cappuccino. The Barista Express Espresso and Cappuccino Maker by Unique Imports is able to make delicious European style espresso in a manner of minutes and for a fraction of the cost. Powerful steamer is ideal for European style espresso. Although tiny, this machine is able to brew European style espresso with 800 watts of power. It's perfect for anyone looking for a traditional taste and texture. Glass decanter makes for easy serving. The glass decanter that's included with the machine has a cool touch handle and drip-free spout for safe handling and serving. Has removable parts for effortless cleaning. The Barista Express machine has a removable drip tray and nozzle that makes cleaning up after using the machine a cinch. Model comes only with the basic accessories. 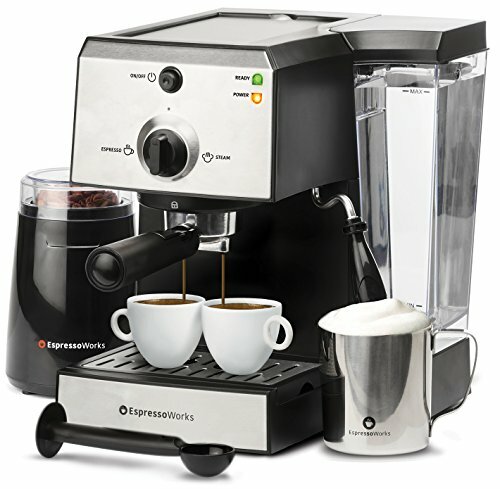 The Barista Express machine comes with the main espresso machine, glass decanter with cover, protafilter, filter basket, tamper, and espresso scoop, but it does not come with a coffee grinder. To make fresh coffee grinds, additional component purchases may be required. Espresso has little to no crema. Crema is the thin layer of foam that sits on top of freshly dripped espresso. A thick layer of crema is supposed to make the espresso much more rich and flavorful. However, many people who have bought and used this product have noted that when they make their own espressos, there is little to sometimes no crema at all. 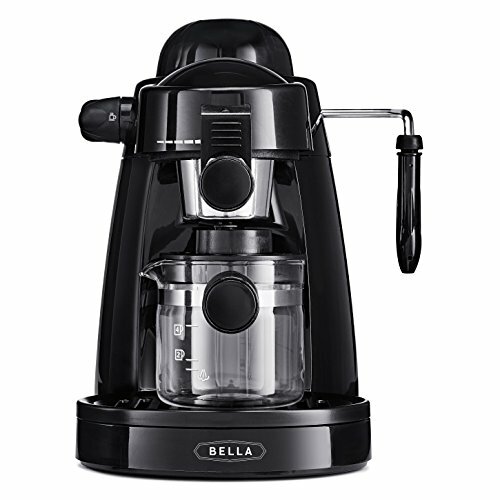 This BELLA Personal Espresso Maker is ideal for those looking to make single hot beverages without excess waste. With a built-in steam wand, adjustable serving settings, and included espresso scoop, this model provides the best value without limiting quality. Built-in milk frother means there's no need to buy additional equipment. Easily texturize milk to make a delicious cup of cappuccino right there on the machine. Save time and money by frothing milk with the easy to handle steam wand. Easy-pour decanter clearly marks how much espresso to use. The included glass decanter has clear markings to indicate how many shots of espresso have been brewed. This allows for beverage customization. The decanter's cool touch handle also ensures safe pouring. Comes with an espresso scoop for easy measuring. Knowing exactly how much coffee grind is being used to make fresh espresso is made easy with the included espresso scoop, which allows for consistent measuring and flavor every time. Detachable filter basket makes for simple clean up. Cleaning out coffee pucks and residue coffee grinds can be difficult, but the detachable filter basket for this model makes it easy to dump used grinds and rinse out. There is sometimes plastic odor after brewing. 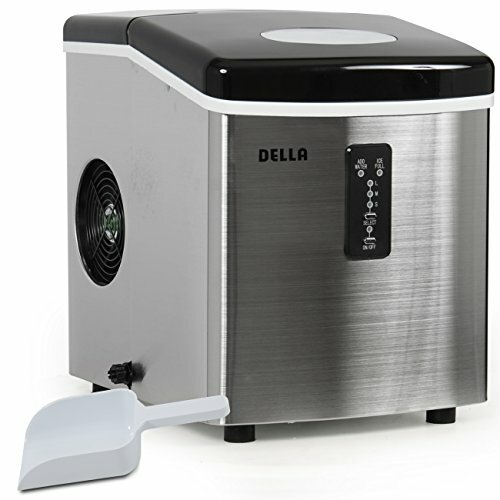 Several people have noted that without proper cleaning, the BELLA Personal Espresso Maker sometimes produces espresso with an obvious plastic odor after brewing. While the machine's manual does explicitely say to cleanse the machine before and after use, people who have tried this product argue that they are still able to detect the presence of this odor. Milk steamer not very fast or effective. Some people have mentioned that the milk steamer on this particular model is not able to texturize milk very quickly or effectively. They cited that the steamer is unable to get hot enough to truly froth the milk to an ideal level of richness. While inexpensive and produces decent espresso, model wears down quickly. Several product consumers have noted that while the BELLA Personal Espresso Maker gets the job done and is a cheap alternative to more expensive cappucino makers, the model is not exactly built to be long-lasting. Many consumers have stated that their machines had lasted them up to a year before needing to be replaced. Not everyone has the time to wait around for a fresh brew, so portable cappuccino makers offer an ideal way to ensure a fresh cup of cappuccino in any place at any time. Portable cappucino makers typically offer a hassle-free brewing experience, are significantly lighter than traditional cappucino maker models, and are also designed for easy clean up. The STARESSO All-In-One Portable Espresso maker is a handheld model that can easily be brought along to the office, on a camping trip, or in the car. 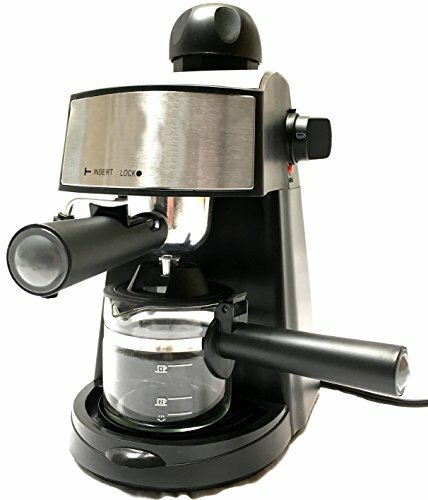 Its convenient four steps make it quick and easy to make fresh espresso, brewed either hot or cold, at any time and place. Both affordable and able to deliver high-quality and delicious espresso, this model can also steam milk to be added in order to make great tasting cappuccinos. Ideal for both hot and cold brews. The STARESSO All-In-One Portable Espresso Maker is capable of brewing with either hot water or cold, depending on the consumer's preference for hot espresso-based beverages or cold iced drinks. It only takes several minutes to brew a cold coffee, which is significantly faster than most cold coffee brewing machines. Open design makes regular cleaning and maintenance simple. Simply pull apart the machine's fitted parts and give them a rinse to remove espresso and coffee grind residue. The cleaning process takes only a few minutes, and once done, all the pieces fit back together with ease. 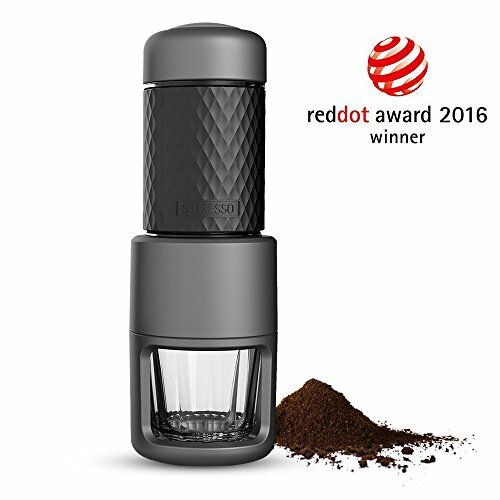 Able to deliver high levels of pressure to brew hot water through coffee grinds quickly. 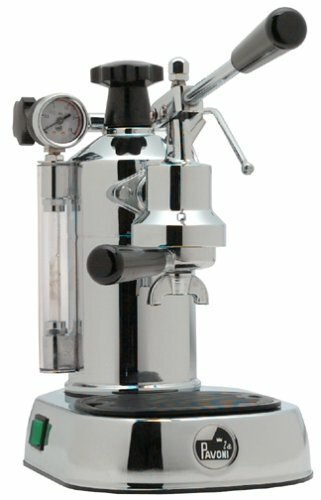 This model is able to stream hot water through coffee grinds at up to 15 bars of pressure, ensuring consistent and fast drip espresso, which results in bold flavor and less acidity or bitterness. Designed for pumping action. This model has no need for electricity or batteries, making it the ideal machine to bring along to the office or on a camping trip. The built-in hand pump means that freshly brewed espresso can be had absolutely anywhere at any time without having to worry about finding an electricity source. Not made of the most durable material. Some product consumers have noted that after a few dozen uses or after having been tossed around in their backpack, the STARESSO All-In-One Portable Espresso Maker has been known to break down. While it is compact and simple in design, it's not very durable when under rougher than usual handling. Requires a source of hot or cold water and coffee grinds. While this model doesn't need an electric source or batteries to function, it still requires a ready source of hot or cold water and pre-ground coffee beans. This simply means that it will be necessary to bring along a thermose or a bag of pre-ground coffee, which may result in more bulk and a heavier load to carry around. There are many cappucino maker models that are designed to brew the most delicious drinks without breaking the bank. It is very easy to find a high-quality cappucino maker for under $200 without sacrificing quality and taste. 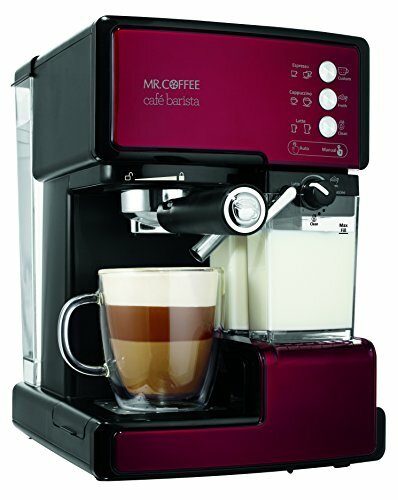 The Mr. Coffee BVMC-ECMP1106 is the most advanced out of its line of Mr. Coffee espresso and cappucino makers. With the press of a button, the machine can make the perfect amount of espresso needed for your cappuccino or other selected beverage. Have milk automatically frothed and poured into a fresh glass for a delicious drink that's ready to go. Comes with an attached automatic milk frother that makes texturizing milk easy. There's no need to buy an external milk frother because the Mr. Coffee BVMC-ECMP1106 comes with one built in. Not only this, but the model also has a designated milk reservoir that the machine can use to froth milk the way the consumer wants it. Designed with a one-touch control menu for drink selection. A clearly marked control menu on the front of the machine provides a number of beverage options to choose from. By selecting the consumer's preferred drink, the machine is able to make the right amount of espresso every time. Has removable water and milk reservoirs for easy refilling. Some cappuccino makers have a built-in water reservoir, which makes it difficult to refill or clean the machine. The Mr. Coffee BVMC-ECMP1106 actually has a removable water and milk reservoir for simple refilling and cleaning whenever necessary. Programmable cleaning cycle makes cleaning hassle-free. For those who simply don't have enough time to clean their cappuccino maker after every use, the Mr. Coffee BVMC-ECMP1106 is able to be programmed to conduct self-cleaning cycles. Make cappuccinos, set the timer, and maintain the model from afar as it rinses its internal water lines all by itself. Machine can be loud during brewing process. This Mr. Coffee model is not known to be the quietest of cappuccino makers. Several people have noted that during the brewing process, it can be quite loud as it froths milk and heats up water for espresso extraction. Long heat-up times. Many cappuccino makers are able to work very quickly and are able to heat up water to the perfect brewing temperature within minutes. However, some product consumers have noticed that the BVMC-ECMP1106 takes longer than other machines to heat up before brewing. This model is definitely not ideal for those who need a hot drink in a hurry, or for those who forget to start the machine early enough to heat up before use. Has a history of leaking water tanks. Unfortunately, this particular model of cappuccino maker has been known to spring a few leaks in its water reservoir. Many consumers have noted that customer service and support has been excellent when trying to help resolve the issue, but potential buyers should take note that this issue is not unheard of. Many semi-automatic cappucino maker options typically fall in this price range. Semi-automatic cappucino makers allow cappuccino brewers both ease of use and the ideal amount of manual control over the brewing process. The De'Longhi America EN750MB is a cappuccino maker that can be bought below $500. Balancing high-quality, personalization, and durability, this model is the perfect choice for those looking to invest in a model that will last for many years. Sensor touch display for easy operation with drink selection menu with six pre-programmed beverages. There's no need to bring out the machine's manual in order to learn how to operate it. With an intuitive sensor touch menu on the top of the machine, easily select from a pre-programmed menu of six different drinks. Simply ensure that the machine is full of water, milk, and Nespresso coffee capsules and watch as drinks are prepared quickly and always tasting fresh. Auto-cleaning milk carafe makes clean up simple. Cleaning out a cappuccino machine can be time consuming, but the De'Longhi America EN750MB doesn't need to be taken apart for cleaning every preparation. With the switch of a knob to "clean," the milk regulator releases a 15 second blast of steaming hot water through the milk frother, rendering it sanitized and ready for its next use. Pre-portioned coffee capsules take the guesswork out of brewing. 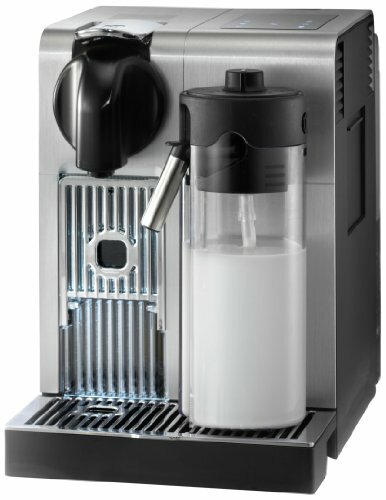 The De'Longhi America EN750MB is designed to use Nespresso coffee capsules for convenient brewing. Simply place a coffee capsule in the machine and select a beverage. Milk and water temperature known to not reach ideal temperature. Some users of this product have noted that beverages tend to come out "lukewarm." They have stated that both milk and water temperatures just don't quite reach a hot enough temperature, resulting only in an average experience. Nespresso capsules aren't the most waste-friendly. While convenient, disposable Nespresso coffee capsules can only be used once and need to be replenished frequently. Constantly resupplying these capsules not only costs more in the long-term in comparison to buying coffee in bulk, but also adds more to landfills over time. Some of the best high-end cappuccino maker models allow for complete and expert control of the brewing process. These models are ideal for those who know exactly what they want and how they want their cappuccinos. This model can be found on the higher end of the espresso and cappuccino maker price range, but the price is well worth the level of quality associated with the model and its brand. Designed for hands-on lever and piston operation, the La Pavoni PC-16 Professional Espresso Machine offers a unique taste that just can't be captured at the local coffee shop. Small but powerful. This product is able to make up to 16 cups of espresso with 1000 watts of power. Weighing only 16 pounds, the La Pavoni PC-16 Professional Espresso Machine is the perfect addition to add to the kitchen at home. Comes with a built-in steam wand. The La Pavoni PC-16 Professional Espresso Machine's steam wand is perfect for texturizing milk to make delicious cappuccinos. There's no need to buy a separate milk steamer. Consistently produces delicious crema. This professional espresso machine comes from an Italian company that takes espresso very seriously. It is able to produce a rich layer of crema with every brew of espresso, which only adds to the flavor of the entire beverage that just can't be duplicated by cheaper models. Chrome base can rust without proper maintenance and cleaning. While the chrome base gives the machine a very stylish and clean look, some product consumers have noticed that rusting can occur under the drip tray. Regular cleaning should prevent this from happening, but it is also important not to use abrassive surfaces to clean the machine, as this can result in unwanted scratches on the chrome surface.